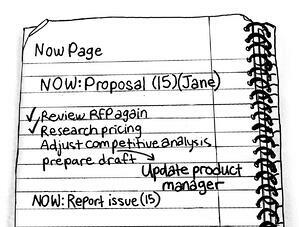 All you need is a journal, a timer, and a "method"! Share with your colleagues and friends, and join the new and revolutionary way of working! 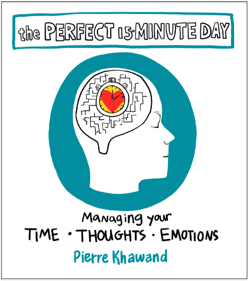 The Perfect 15-Minute Day: Managing Your Time, Thoughts, and Emotions! Order the book, eBook, journal, eCourse, or Audiobook (also available on iTunes) to get started right away and inject a healthy dose of accomplishments and happiness in your work day and beyond! Learn more about the method which includes the use of tags to help you track your tasks, manage interruptions, manage thoughts and emotions along the way, and be able to reconcile and close the loops on unfinished items at the end of the day. "In a world saturated with inputs and information, we need something to clear the clutter and focus on what truly matters. Pierre's time-tested tactics will help you do just that, in short powerful bursts that add up to significant accomplishments. Read this book, practice the principles, and watch your work transform 15 minutes at a time."